Malaysia's state-owned oil-and-gas firm Petroliam Nasional Bhd (PETRONAS) announced that it has signed an agreement with BASF SE (BAS.XE) to form a joint venture to develop a new refinery project in Pengerang, Johor. Under the agreement, Petroliam Nasional, or Petronas, will hold a 40% stake in the venture and BASF will hold the remaining 60%, Petronas said in a statement. The project is part of Petronas' planned Refinery & Petrochemical Integrated Development (RAPID) complex in Pengerang, it said. 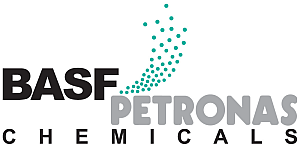 The joint venture will own, develop, construct and operate production facilities for isononanol, highly reactive polyisobutylene, non-ionic surfactants, methanesulfonic acid, and plants for precursor materials, Petronas said.